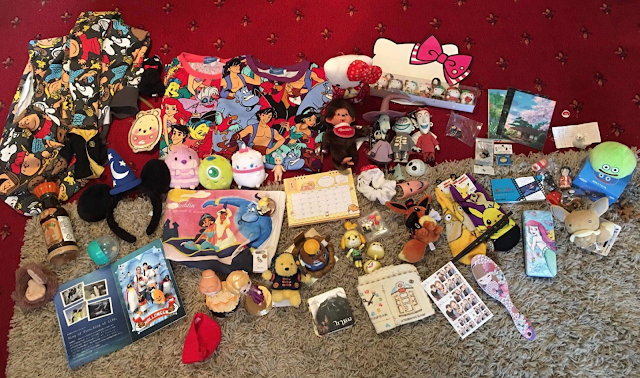 8-Bit Girl: My Japan Haul! So, now my Japan travel diaries are out of the way, I intended to upload a video where I shared everything I bought out in Japan. Sadly, I had some technical difficulties with my phone, so the clips I recorded couldn't be salvaged as apparently they had errored. Great! So, here's a photo of my haul instead. 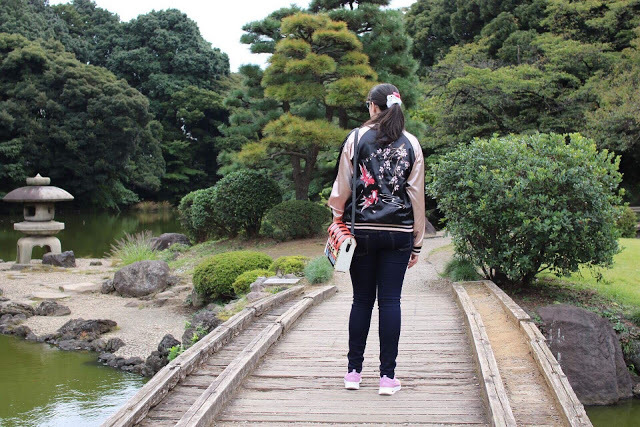 I forgot to include my silk Koi bomber jacket into the photo (but you can see this below in a separate image), and two Tsum Tsums - a bumblebee Piglet, and a Sleeping Beauty one, but everything else is present! Here's that bomber jacket I mentioned above. I bought this in Harajuku! Thanks for reading all of my Japan honeymoon blogs. I had such an amazing time, and would definitely urge any of you to check out that country. You'll love it!